$1500 per attendee plus travel expenses. ProAnalyst Fundamental Skills is a two-day course that provides comprehensive training to the beginning or occasional user, guided by Xcitex's own motion analysis experts. Live demonstrations and hands-on exercises will expose students to realistic problem-solving techniques from a cross section of application areas. 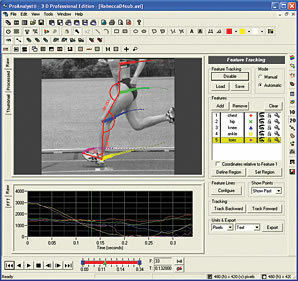 The course material focuses on the fundamental features of ProAnalyst and techniques for automatically tracking movement. Prior working knowledge of ProAnalyst is beneficial, but not required. Course participants will be awarded a certificate of completion and be provided with classroom notes. Attendees should plan to bring their own laptop computers and example files. Xcitex engineers will be available at the end of each day to discuss specific applications and requests from participants.